… and we are on display at GPAC the Geelong Performing Arts Centre in Little Malop Street. 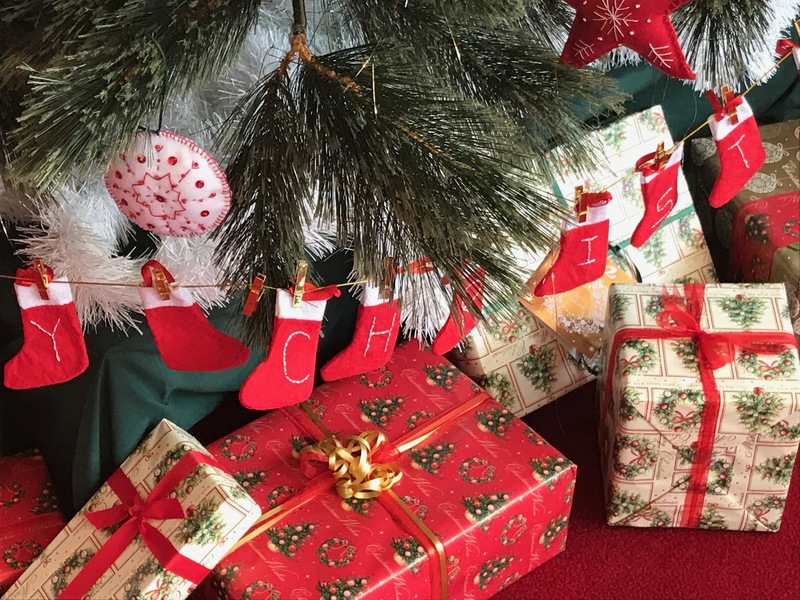 Our tree bears decorations stitched by our members: birds, stars and balls. 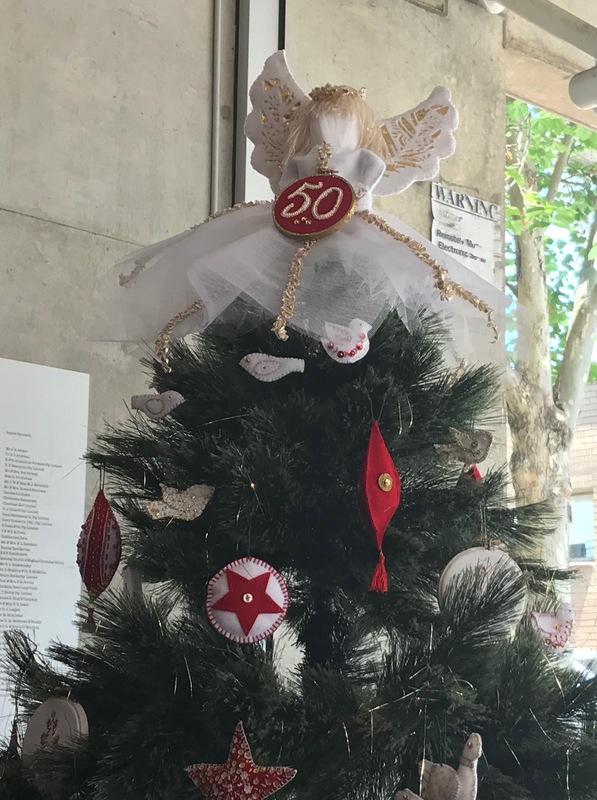 Atop the tree perches our 50th Birthday Angel stitched by Rosalie Cull who masterminded this wonderful display. 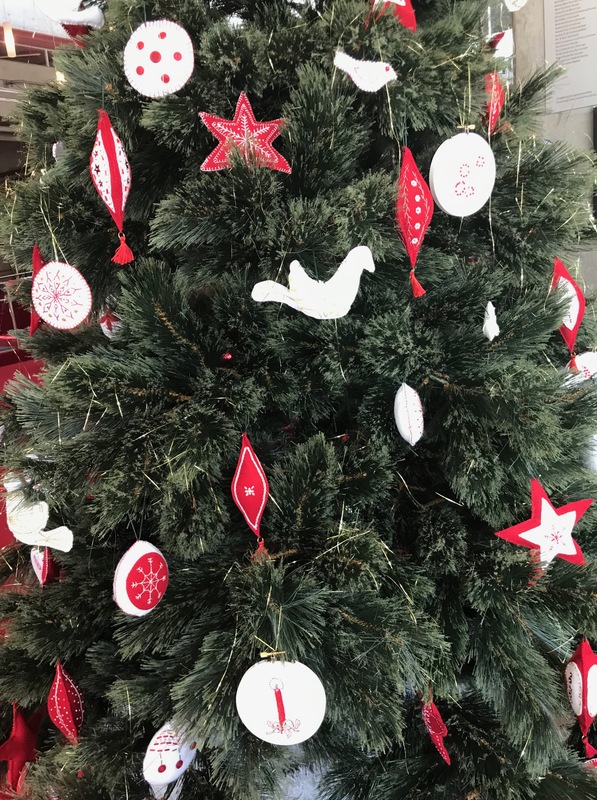 Thanks to all those who organised workshops, stitched ornaments and trimmed our tree.